Today is a milestone! You can read my very first guest post over at my friend Renée’s house: www.rasjacobson.com. She has a series on her blog called #SoWrong where bloggers can write about humiliating and embarrassing moments they’ve experienced and then share those moments with about a zillion people. Sounded like a good idea to me! You can read my post here: http://wp.me/pViQq-47Q where I share four funny #SoWrong parenting moments. Renée and I met a couple of years ago and she has been a loyal follower and commenter on BRC. She write’s about lots of things including her family and her son who is into fencing, which has to be on the list of coolest extra-curricular activities a kid could be involved in. She can be funny, serious, profound, silly and she’s a Glasses and Hats enthusiast! Unlike me, she is the consummate blog promoter, running guest posts and giveaways and all kinds of other fun things… in addition to writing! So, go check out my post. It’s funny and it’s true. 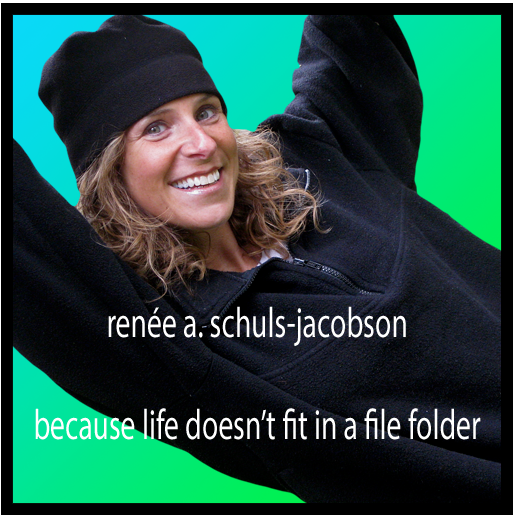 Poke around Renee’s site while you’re there too. You’ll probably find something good to read.